Here at Transformation Marketing we sometimes get caught up with the more advanced minutia of website development and digital marketing and forget that not everyone spends their days thinking about website optimization and online conversion rates. As a small business owner who is usually focused on providing goods or services to customers, you’ve probably heard the term WordPress thrown around between service calls but had more pressing things to deal with. What is WordPress and What makes it so special? WordPress is an open-source content management system, or CMS, that allows users to publish content for the rest of the world to see via the internet. WordPress powers more than a third of websites on the internet. That means 1-in-3 of the websites you visit regularly is powered by WordPress, but what makes it so special? Why has WordPress caught fire across the web? First, there is WordPress, the content management system (CMS) that allows users to easily create and share content on the World Wide Web. WordPress was first released in 2003, by its creators, Matt Mullenweg and Mike Little as part of another blogging platform called b2 cafelog. While it was started as a blogging platform, WordPress has evolved over time to become the encompassing CMS we know it as today, capable of doing much more than publish a simple blog. Put simply, WordPress is the software. In order to use WordPress, the application must be installed on a server. The server can either be remote, hosted by a hosting company, or local, hosted on your personal computer. From there a user can use the program to build their website, customizing it as they see fit with different plugins and theme templates to help achieve the exact form and function they are hoping to achieve. WordPress is a registered trademark owned by the WordPress Foundation, a non-profit whose goal is to make the software freely available to users. The WordPress Foundation is responsible for maintaining WordPress and developing updates, as necessary, through community-driven initiatives. After co-creating WordPress in 2003, Mullenweg bounced around for a couple of years contributing to the platform (and the internet community at large) in a variety of ways before announcing the creation of his company, Automattic, in late 2005. Automattic promptly launched WordPress.com and continues to own the property to this day. 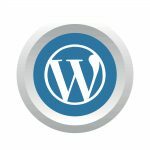 WordPress.com is a proprietary blog hosting solution that offers all the power of WordPress without needing any of the technical know-how. In their own words from the mission statement on WordPress.com, “We’re a hosted version of the open source software. Here, you can start a blog or build a website in seconds without any technical knowledge.” Of course, that convenience will cost you a little bit of cash and a lot of control. Still, WordPress.com gives you the platform, the server and the expertise to launch a new website. So, now you know that WordPress is a content management system that lives independently on the server where it is installed. WordPress.com is a commercial service set up by one of WordPress’ founders focused on offering bloggers and website owners the total package when it comes to building a site. Being open source means WordPress is built for the community by the community. That brings us to WordPress.org. WordPress.org is where the community discusses ideas for updates, provides support and posts plugins for the betterment of the application. In 2010 Mullenweg’s Automattic transferred ownership of the WordPress trademark and logo to the WordPress Foundation, ensuring the continued growth and independence of this benchmark CMS and putting the driving power of change for the platform into the hands of the contributors on WordPress.org (many of whom are, in fact, Automattic employees). So, what makes WordPress so special? Independence, baby! Since WordPress is an open source software that allows users to do anything they want with it without restrictions, users can contribute to, copy, edit, and even redistribute the software as they please. And, it’s trademark and logo are owned by the community on WordPress.org through the WordPress Foundation. So, as long as that community continues to show passion and care for the application that changed the internet, WordPress will continue to grow and thrive, giving anyone the ability to build and maintain their own little piece of the World Wide Web. If you’d like to learn more about what it takes to start a website, check out our blog post called What Do I Need to Start a Website? Or, if you feel like this blog has helped you realize that you don’t want to learn another thing about websites, but you still need help making one, contact Transformation Marketing today and we’d be more than happy to help!